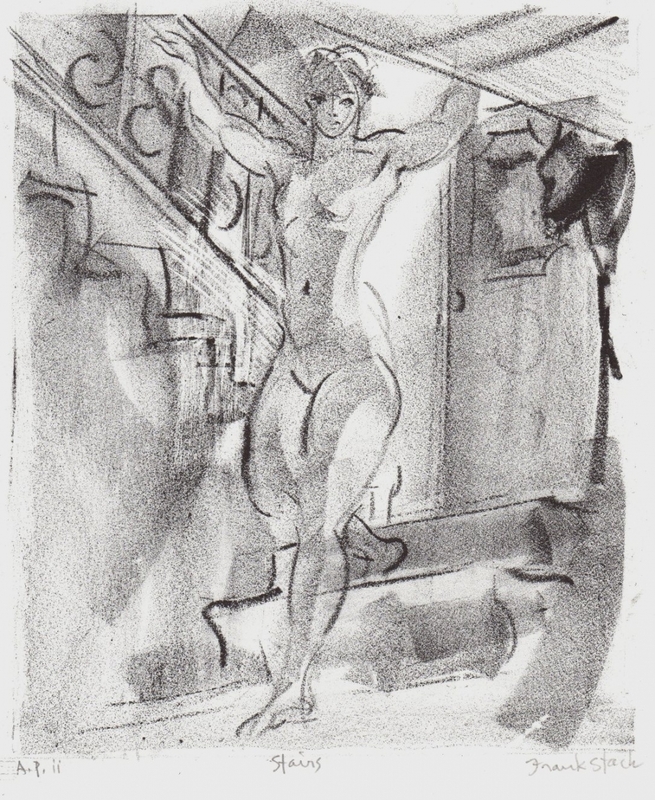 This original hand-printed and pencil signed lithograph represents a female walking down the stairs with her arms aloft. In one of his newer editions Stack uses a subtle shading technique to represent shadow and depth. This print is an Artist's Impression (A.P.). Image size: 9" x 7.75." Sheet size: 10.75" x 9"